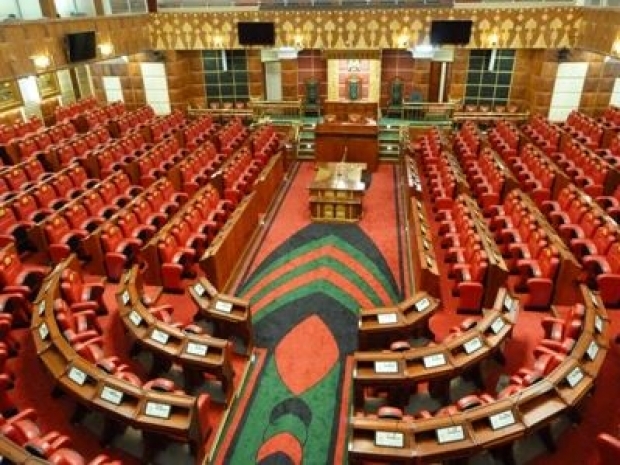 Kenya’s Legislative body is currently debating the Gender Bill 2018 that proposes amendments of articles 90, 97 and 98 of the Constitution seeking to achieve the two-thirds gender principle in the National Assembly. This will be through the creation of special seats that will ensure that the gender principle is realized in Parliament over a period of twenty years from the next general election. It is asserted the principal object of the Bill is to ensure that the membership of the National Assembly and the Senate conforms to the two-thirds gender principle provided for in Article 81(b) of the Constitution. Dubbed as ‘Affirmative Action Bill’ towards realizing ‘gender balance’. Female MP’s along with women activists have argued the bill is an important instrument in resolving the gender inequity and therefore very critical in giving both genders a level playing field and will be able to compete on an equal level. The proposers of the bill further argue the Bill is not only about women, but also promotion of representation of marginalized groups such as the disabled, youth and ethnic minorities. The word ‘gender’ contained in the bill highlights erroneous and shallow capitalist thought on resolving matters based on gender perspective. The concept of ‘Gender Parity’ is a western construct born from the western experience of oppression by women under the Corrupt and greed Capitalist system. Through the United Nation Development Programme, the Capitalists with their feminists have set up an index known as Gender Empowerment Measure (GEM) designed to measure the extent of gender inequality in countries across the globe, based on estimates of women’s relative economic income, participations in high-paying positions with economic power, and access to professional and parliamentary positions. This biased Capitalist thought is intended to distract attention from the dominant role that Capitalism has played in marginalizing its society for decades. The system that has caused gross inequalities in wealth, crippled economies and allowed Western colonial states to imitate corrupt leaders that serve their economic interests – all of which has impoverished millions of women and led to crumbling education, healthcare and housing. The argument that by having more women represented in elective seats and appointed positions is to empower them both economically and politically is merely fallacy. Kenya’s neighbors, Tanzania, Uganda and Rwanda, have more female representation of women in their parliaments, yet the lives of ordinary women in those countries are miserable. The fact is political leadership in Democracy is just a fallacious ambition and not a trust of taking care of public interests. Kenya like any other democratic regime, politics is controlled fully by the super-rich and dynasties who use their political influence to ensure that all political processes are in line with their interests. More ironical, the sponsors of the bill and its advocators are joining their fellow MPs in their greedy attempt to award themselves hefty perks so as to ‘perform better’, despite being one of the best paid legislators worldwide. The benefits include a rent-free house, a government vehicle, an expanded medical cover, travel allowance and an expanded constituency outreach operation. Islam as a profound ideology has a unique model of Government (Khilafah) that guarantees dignity, justice and prosperity not only for women but also for all humanity. Throughout its implementation, the social, economic and political rights of women were secured fully. With the return of Khilafah Inshaa Allah very soon, women will be encouraged to be members of political parties, to vote for their ruler, to be elected representatives of the Consultative body (Majlis Ummah). This will enable them to raise any complaints they have regarding those in governance to the court of unjust acts (Mahkamat ul-Madhaalim). It will be a state where having a political voice as a woman will have real meaning and real weight rather than existing as a meaningless theoretical rhetoric.